One of my favorite #TCTheater holiday* traditions is the Guthrie Theater's annual production of Charles Dickens' classic A Christmas Carol. Now in my 15th year as a Guthrie season subscriber, I've only missed it a couple of times in that span. As I wrote last year, "I never tire of seeing it, because Charles Dickens' story of redemption, community, family, and human kindness never gets old. It's a beautiful and necessary thing to be reminded that what brings us together is greater than what drives us apart.' That it's never too late to change, to grow, to become a kinder and more generous person." This timeless story of generosity, gratitude, compassion, and kindness is something we need to cling to, perhaps now more than ever. 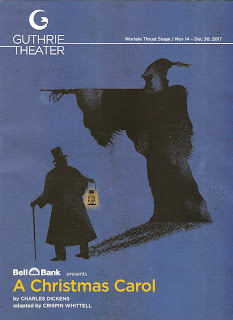 This is the Guthrie's 43rd production of A Christmas Carol, and my 12th time seeing it. What's not new this year is Crispen Whittel's smart and concise adaptation that they've been using since 2010, Walt Spangler's charming and realistic Victorian set with massive moving parts, Mathew J. LeFebvre's Ivey Award-winning costume design (from flounces and tails to shabby ragged clothing), and tons of extras (big and small) singing Victorian Christmas carols and making the city come alive. 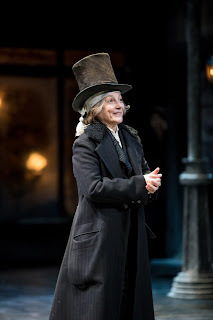 You can read the many words I've written about A Christmas Carol over the years here. Lauren Keating makes her directing debut at the Guthrie with this show. And while I can't say for certain it's the first time a woman has directed this show, I wouldn't be surprised if that were the case. Following in the entirely satisfactory trend of more women directing #TCTheater lately (read more about that here), she brings a fresh and feminist perspective to the story we know so well. 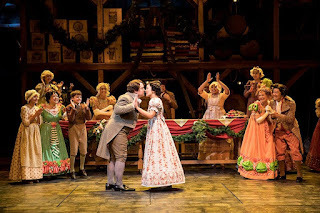 Along with returning cast members (including Jay Albright, Summer Hagen, Katie Bradley, Ryan Colbert, Meghan Kreidler, and Kris L. Nelson's umpteenth delightful turn as Cratchit) there are some new faces in the show as well. Specifically, a wonderful new trio of ghosts: John Catron is both the creepy ghostly Marley and the alive (and still creepy) business partner of Scrooge; the uber talented Kendall A. Thompson makes her Guthrie debut, floating down from the rafters like an angel as the Ghost of Christmas Past; and Ansa Akyea is the very embodiment of the warm and jovial Ghost of Christmas Present. 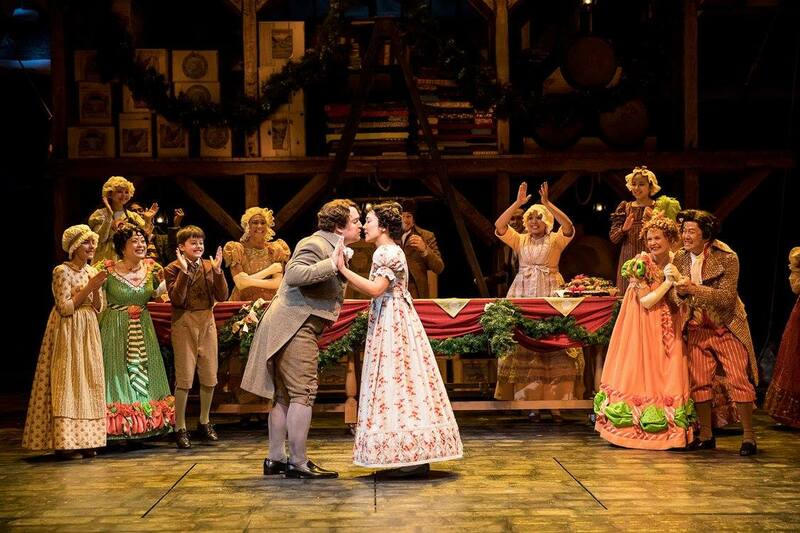 It's always worth a visit to the Guthrie Theater to experience this heart-warming and necessary story of generosity, gratitude, compassion, and kindness (through December 30). And this year brings even more exciting things. The show is just about two hours long, but you can make an evening (or afternoon) of it by visit Sea Change on the first floor, Level Five Cafe on the fifth, or one of the neighborhood restaurants (my favorite: Spoonriver). Also note that the Guthrie is open to the public most days with free wifi and a coffee/snack counter, which makes it a pleasant place to spend a few hours before or after the show.